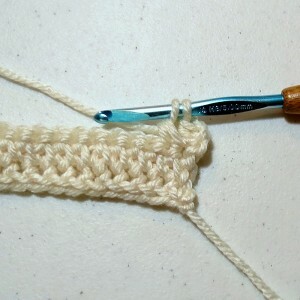 The Loopy Linked Double Crochet is actually a variation of the linked double crochet stitch, and it’s something that came about because I was actually working the original stitch incorrectly! Keep reading to see how to purposefully replicate this stitch, and if you’re still a little unsure, be sure to watch our video tutorial at the end of this written one. When you complete a regular double crochet, you will notice there are 2 ‘loops’ that make up the body of the stitch, shaded in pink and purple in the image below. 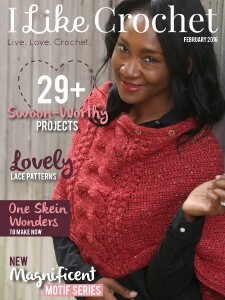 The bottom one of these loops will become your ‘yarn over’ when you work the next double crochet. 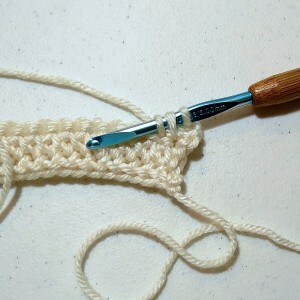 To work your Loopy Linked Double Crochet, insert your hook under the lower loop (NOT into the next chain) and on into the next stitch, as per a usual double crochet. Yarn over and pull through. 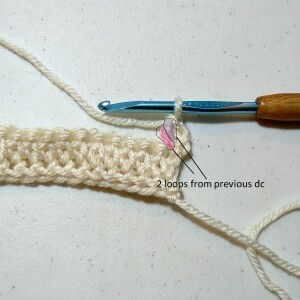 You will have 3 loops on your hook – just like a regular double crochet, but that middle loop is the loop from your previous stitch. The rest is easy! 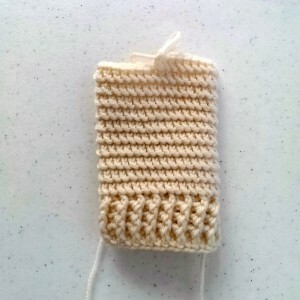 Finish as you would a regular double crochet – yarn over and pull through the two loops twice. 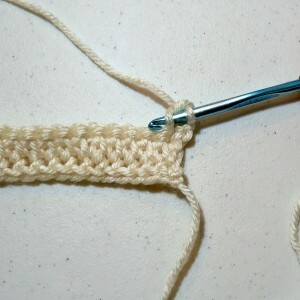 As you keep working this stitch, you’ll see a line of loops being created – which is how I choose the name. 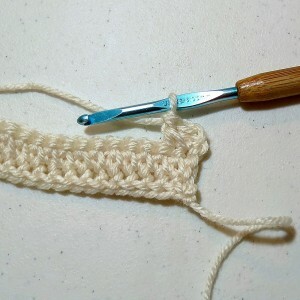 The back side of the stitches will be flat instead of bumpy, making the loopy linked double crochet perfect for accessories such as gloves, socks or headbands when you want the side next to your skin to be smooth.